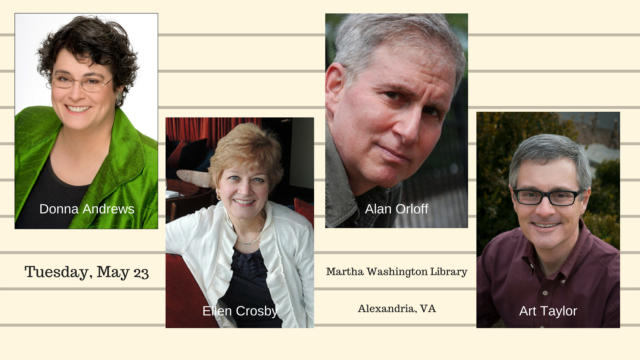 The Martha Washington Library in Alexandria, VA, welcomes several members of my long-time writing group on Tuesday evening, May 23, for both a discussion of our individual works and a glimpse at how we work together. Donna Andrews, Ellen Crosby, Alan Orloff, and I—along with John Gilstrap (not part of the event)—have met monthly for many years now to share selections of our works-in-progress, seeking fresh perspectives, constructive critique, and hopefully a bit of encouragement as well. Along the way, we’ve also celebrated one another’s accomplishments, shared insights into a swiftly changing publishing landscape, and in the process become fine friends. 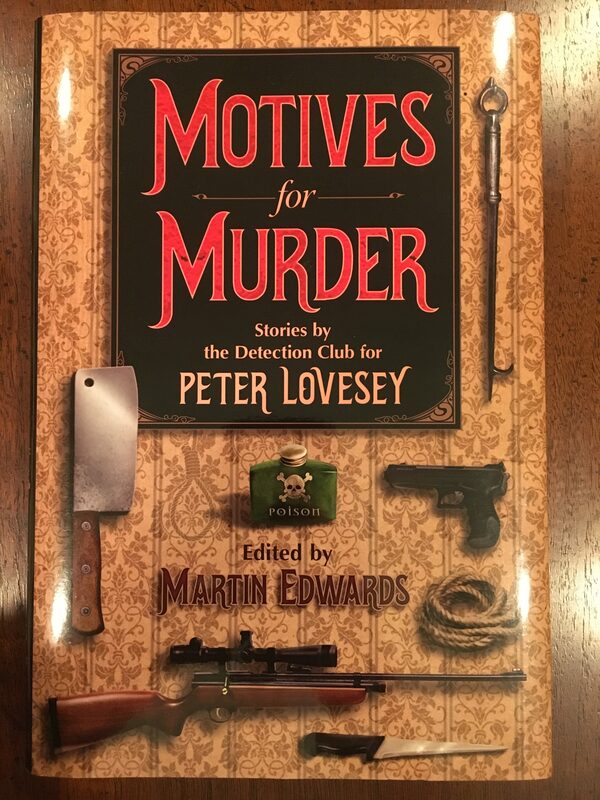 The May 23 event will offer more glimpses into those monthly workshops as well as insights into our novels and stories, our writing lives generally, and the wider world of mystery fiction. The Martha Washington Library is located at 6614 Fort Hunt Road in Alexandria, VA, and the library is hosting an event sign-up here; there’s also a Facebook event page at my own FB author page. Hooray for Books! in Alexandria will be co-sponsoring the event and selling books by all the participating authors. More stories are ahead. Stay up to date with the series here.